Orchid style uses a clever combination of ink colour, typeface and backing board that makes it sophisticated but unaggressive. The colour combinations are many so the style can be adapted to suit most brides’ requirements. 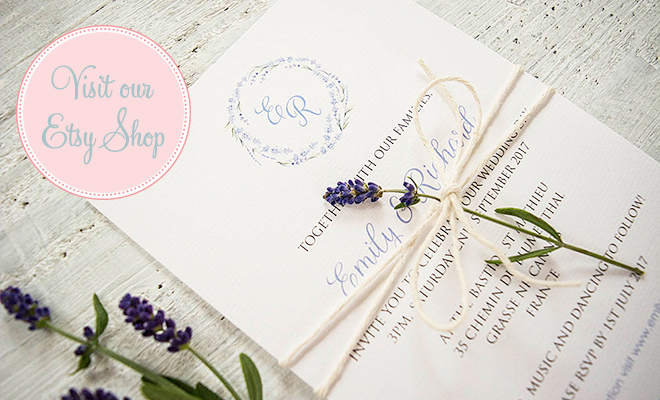 The standard wedding invitation is printed letterpress in slate and French blue ink on 7″ x 5.5″ Oyster Wove card duplexed onto New Blue card supplied with matching envelopes (unlined). The invitation can be adapted to your preferred style and you have the option to alter: size, ink colour, print style and font, plate sinking, card type, gilt edging, blind embossing, lined envelopes, add motif, bindi jewels, ribbons or artwork to the design. 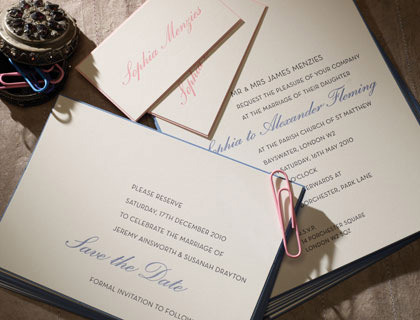 © 2019 SJ Wedding Invitations London|ProPhoto Photographer Blogsite by NetRivet, Inc.